Early one morning, a mouse met a wolf. What happens next is predictable – the wolf swallows the mouse. And that’s the end of that story. Right? Hang on, where’s the duck? 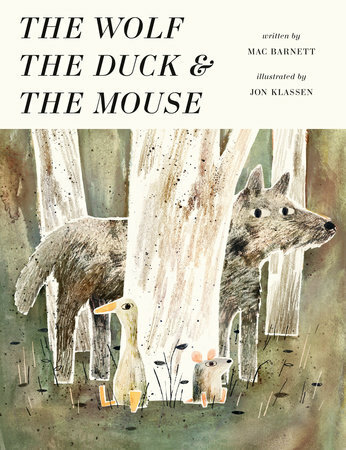 Fans of Barnett and Klassen know that nothing is predictable in their stories. Each page turn brings a twist in this tale. And every twist brings a chuckle, until the final perfect twist. Love it!